Who Is The Heart of Dallas Chorus? The Heart of Dallas Chorus is a ladies barbershop chorus that was founded in February of 2001. The chorus is lead by director Sandy Hanne, a singer and choral director with over 20 years experience. Her vision of musical excellence and fun is the glue that binds this group together. Heart of Dallas has a wide range of entertaining songs that we would love to perform for your event. We have performed at Christmas events for medical groups, nursing homes, churches, Dickens Festivals, Good Day Channel 4 and more. For An Opportunity To Be A Star In A Musical Adventure! 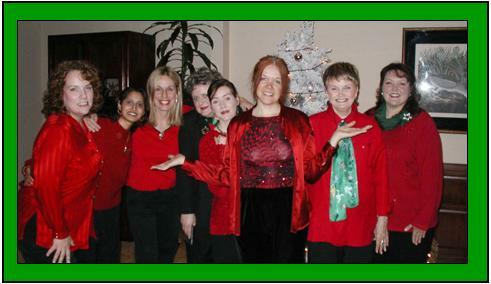 If you are a woman who loves to sing, visit us and discover this ladies barbershop chorus in Richardson, TX. Click here to check out why you should join in on the fun!